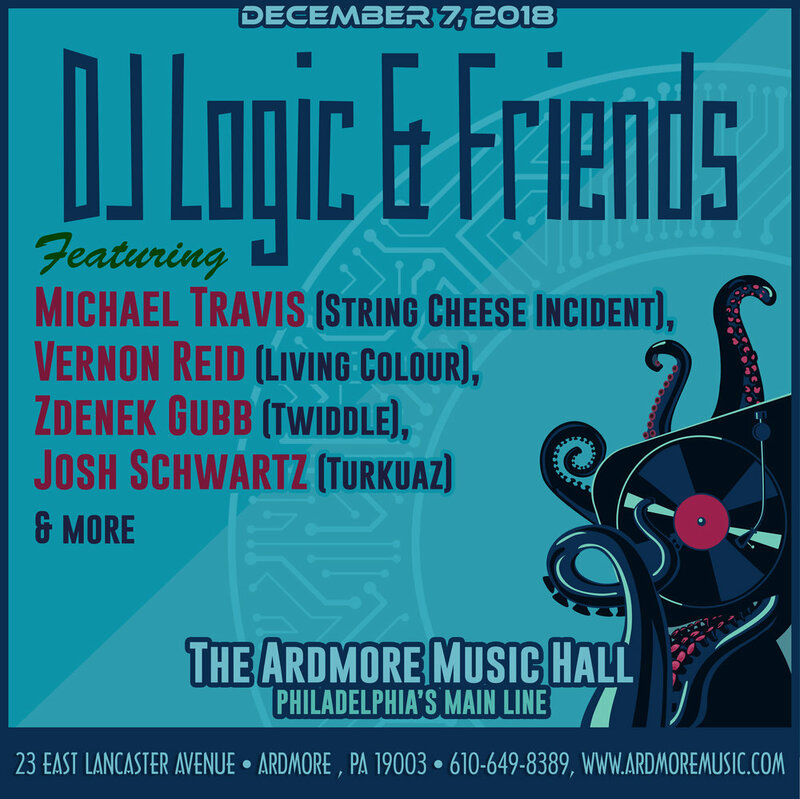 DJ Logic & Friends returns to the Ardmore Music Hall Friday, December 7. This show will feature the return of Michael Travis (String Cheese Incident) along with Vernon Reid (Living Colour), Zdenek Gubb (Twiddle), Josh Schwartz (Turkuaz) and more! Tickets are $18 Advance, $20 Day of Show and available HERE. Saturday, February 24 DJ Logic & Friends will take over the Ardmore Music Hall for a special night of jams. DJ Logic & Friends is a revolving cast of music and this show will feature friends Marc Brownstein (The Disco Biscuits), Michael Travis (The String Cheese Incident), Borahm Lee (Break Science) and Rob Compa (Dopapod) for a one-night-only appearance.